Telenor Group (OSE: TEL; Norwegian pronunciation: [ˈteːləˈnuːr] or [tɛləˈnuːr]) is a Norwegian multinational telecommunications company headquartered at Fornebu in Bærum, close to Oslo. It is one of the world's largest mobile telecommunications companies with operations in Scandinavia, Eastern Europe and Asia. It has extensive broadband and TV distribution operations in four Nordic Countries, and a 10-year-old research and business line for Machine-to-Machine technology. Telenor owns networks in 13 countries, and has operations in 29 countries if their 33% ownership in VimpelCom Ltd is included. Telenor is listed on Oslo Stock Exchange and had a market capitalization in November 2015 of kr 225 billion, making it the second largest company listed on the Oslo Stock Exchange. Telenor started off in 1855 as a state-operated monopoly provider of telegraph services named Telegrafverket. The first ideas for a telegraph were launched within the Royal Norwegian Navy in 1848 but, by 1852, the plans were public and the Parliament of Norway decided on a plan for constructing a telegraph system throughout the country. Televerket began by connecting Christiania (now Oslo) to Sweden (Norway was at that time in a union with Sweden) as well as Christiania and Drammen. By 1857 the telegraph had reached Bergen on the west coast via Sørlandet on the south coast, and by 1871 it had reached Kirkenes on the far north coast. 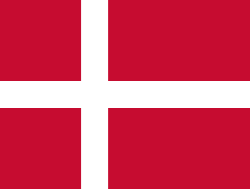 Cable connections were opened to Denmark in 1867 and to Great Britain in 1869. The telegraph was most important for the merchant marine who now could use the electric telegraph to instantly communicate between different locations, and get a whole new advantage within logistics. The first telephone service in Norway was offered in 1878 between Arendal and Tvedestrand, while the first international telephone service between Christiania and Stockholm was offered in 1893. Automation of the telephone system was started in 1920 and completed in 1985. In 1946 the first Telex service was offered, and in 1976 satellite telephone connections to oil platforms in the North Sea were installed. In 1980 the first steps to digitalise the telephone network were taken. Televerket opened its first manual mobile telephone system in 1966, being replaced with the automatic NMT system in 1981 and the enhanced NMT-900 in 1986. 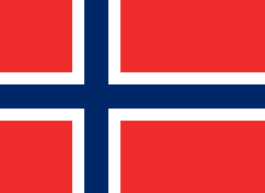 Norway was the first country in Europe to get an automatic mobile telephone system. The digital GSM system came into use in 1993. The third generation of mobile technology with UMTS system began full operation 2004. The Opera web browser was created in 1994 by Jon Stephenson von Tetzchner and Geir Ivarsøy during their tenure at Telenor. Opera Software was established in 1995 after the pair went on to continue development of their browser. The corporation changed its name to Televerket in 1969. In 1994, the then Norwegian Telecom was established as a public corporation. The authorities wanted to deregulate the telecom sector in Norway, and sector by sector was deregulated between 1994 and 1998. An attempt to merge Telenor with its counterpart in Sweden, Telia, failed in 1999, while both still were owned by their respective governments. On December 4, 2000 the company was partially privatised and listed on Oslo Stock Exchange and NASDAQ. The privatisation gave the company NOK 15,6 billion in new capital, the Government of Norway owning 77.7% of the company after the privatisation. As of 2014, the Norwegian government holds 53.97% of the Telenor shares directly and another 4.66% through the Pension Fund. In the second half of the 1990s, Telenor became involved in mobile operations in a number of countries: Russia (1994), Bangladesh, Greece, Ireland, Germany and Austria (1997), Ukraine (1998), Malaysia (1999), Denmark and Thailand (2000), Hungary (2002), Montenegro (2004), Pakistan (2004), Slovakia, Czech Republic, Serbia (2006), Myanmar (2014). Operations in Greece, Ireland and Germany were sold in 1999/2000 and profits were re-invested in the emerging markets. In October 2005 Telenor acquired Vodafone Sweden, changing the name to Telenor in April 2006. On 31 July 2006, Telenor acquired 100 per cent share of mobile operator Mobi 63, one of two mobile operations existing in that moment in Serbia for Euro 1.513 billion. Telenor offers a full range of telecommunication services in Norway, including mobile and fixed telephony as well as Internet access and content. Telenor still dominates the market place in Norway. However, competition has at times been intense in the mobile market and ADSL market, but Telenor remains the largest company in both sectors. Telenor holds a prominent position in the Scandinavian Broadband and TV market, both with regard to the number of subscribers and to the extent of coverage. The TV distribution is branded Canal Digital. Telenor used to provide a range of services related to satellite communication, including voice, television and data before its Telenor Satellite Services division was purchased by Vizada in 2007. Telenor Maritime Radio is responsible for the infrastructure for maritime radio communication in Norway, and also includes five manned coast radio stations whose primary purpose is to monitor the maritime radio traffic (over e.g. VHF and MF bands) and to assist marine vessels in distress. Telenor Cinclus develops and sells products related to Automatic Meter Reading and other technologies related to machine to machine communication. Telenor also owns 30.2% of Evry (formerly held as 51.8% of the same company under the previous name EDB Business Partner, that offers a wide range of IT-services. The company is listed on Oslo Stock Exchange. Telenor has sold a number of divisions after its privatisation, including Bravida, the former installation division and Findexa, now part of Eniro that is responsible for telephone directories. The browser vendor Opera Software originated in Telenor's R&D department. At year-end 2005, Telenor held controlling interests in mobile operations in Norway, Denmark, Sweden, Serbia, Ukraine, Hungary, Montenegro, Thailand, Malaysia, Bangladesh, India and Pakistan. Telenor also holds minority interests in mobile operations in Russia, having recently sold a minority share in Austria. In order to maximize the benefit of cross-border synergies and increase overall profitability, Telenor made new acquisitions in 2005. In October 2006, Telenor entered into an agreement with Vodafone Group for the acquisition of subsidiary Vodafone Sweden for a consideration of NOK 8,170 million, including assumption of debt. Effective from 26 October 2005, Telenor increased its economic stake in Total Access Communication (DTAC) in Thailand to 56.9 per cent. Following further transactions based on mandatory tender offers, Telenor's economic stake was raised to 69.3 per cent by year-end 2005. Telenor's mobile commitments in Asia and Eastern and Central Europe are becoming increasingly important and to ensure optimal follow-up, Telenor has appointed dedicated Executive Vice Presidents for these regions. Telenor has also strengthened the co-ordination of operational and human resources across all the countries in which the group has operations through the appointment of two new Executive Vice Presidents to the Group Executive Management. During 2005, Telenor successfully extracted a number of cross-border synergies across the group. Common technologies for optimal spectrum and network utilisation have been successfully implemented at each of the group's operations, and Telenor maintains its focus on adopting new technologies to improve service quality and reduce costs. In order to harmonise the group's customer orientation across all markets, Telenor has developed a common segmentation model that enables more effective targeting, while also providing greater insight into the global markets. Telenor has developed a framework that provides affiliates with a proven concept of developing target segmented offerings and optimised go-to-market strategies. Revenues from voice services include traffic charges, interconnection fees, and roaming charges. All of Telenor's mobile operations derive the greatest share of their total revenues from voice services, and Telenor continues to focus on developing new products, services and initiatives to increase Telenor's customer base and encourage higher usage. In Norway, Telenor provides communications solutions on a retail basis to both residential and business customers. Offers include analogue (PSTN) and digital (ISDN) fixed-line telephony, as well as broadband voice services over Internet Protocol (VoIP), Internet access via PSTN/ISDN and digital subscriber lines (xDSL), value-added services and leased lines. Norway has one of the highest numbers of DSL lines per capita, currently at over 80% of households and steadily growing. Through the acquisitions of Bredbandsbolaget and Cybercity, made in July 2005 for NOK 4.5 billion and NOK 1.3 billion, respectively, Telenor has gained a strong position in the fast-growing broadband markets in Sweden and Denmark. Bredbandsbolaget is Sweden's second largest provider of broadband services, offering full triple-play with high-speed Internet, VoIP and Internet Protocol (IP) television services on an all-IP fibre and xDSL network. Cybercity is Denmark's third largest broadband supplier, providing xDSL-based Internet access and voice services to both residential and business customers. On 8 February 2006, Telenor increased its shareholding in the Swedish residential voice and broadband provider Glocalnet AB by 13.5 per cent, for a consideration of SEK 136 million (NOK 118 million), to secure a 50.1 per cent ownership interest. The acquisition triggered a mandatory offer for all outstanding shares in Glocalnet AB. This offer was valid until 21 April 2006. As at 28 March 2006, Telenor holds a 96.6 per cent ownership interest in Glocalnet. In the fourth quarter of 2005, Telenor disposed of its operations in the Czech Republic and Slovakia with a loss of NOK 63 million. In 2009, Norwegian performing rights agency TONO and the Norwegian section of the International Federation of the Phonographic Industry (IFPI Norge) attempted to force Telenor to block the Pirate Bay BitTorrent website. After several court judgements in favour of the ISP, the case was finally dropped, with an admission from TONO that under Norwegian law the ISP cannot be compelled to block access to the site. Telenor Research is Telenor’s corporate unit for research. The unit conducts research and delivers research based advice on topics such as customer insight, service experience, organizational innovation, competition, big data, digital services, smart future networks, security, identity and robustness. Telenor Research provides research based analysis and strategic recommendations to the Telenor Group, as well as to the individual Business Units across Telenor markets. Telenor Research’s mission is to create business value for Telenor through applied research – “Creating knowledge to define the future”. Telenor started exploring the M2M potentials in 2000, when Telenor R&D established a project both aimed at technology, services and business models. This was further spurred when Telenor acquired the Swedish mobile company Europolitan, which contained parts of Vodafone's research capabilities in the area. As a result, two separate companies have been established: Telenor Connexion in Stockholm, Sweden (aiming higher up in the M2M value chain), and Telenor Objects (aiming further down in the value chain). The initiative has resulted in a substantial market share of Europe's fast-growing M2M market and is being used by Nissan in Europe to connect its customers Electric Cars. Telenor's wholly owned subsidiary Canal Digital is a leading TV content distributor in the Nordic region with about 2.7 million customers in 2011. Telenor also operates the national terrestrial broadcast network in Norway, through its subsidiary Norkring. It is also part owner of Norges Televisjon and the content provider RiksTV. Thor is a satellite-family owned by Telenor. On 11 February 2008 the THOR 5 satellite was launched into geostationary orbit by a Proton rocket. The launch was provided by International Launch Services using a launch vehicle built by Khrunichev Space Center. Telenor operates three satellites from its satellite control centre at Fornebu (Thor2, Thor3 & Thor5), with Thor6 being launched in 2009. Launched in 1997, Grameenphone was the first Telenor venture in the Asian telecom market. Today, Grameenphone is the largest mobile operator in Bangladesh, serving more than 50 million subscribers as of third quarter 2014; Telenor and its partners have boosted network capacity and extended coverage to new and often remote areas, connecting millions of previously unconnected people. Telenor holds 55.8 per cent of Grameenphone. Grameenphone started trading its shares on the stock exchanges in Dhaka and Chittagong on November 16, 2009. 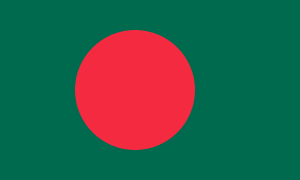 The headquarters are located in Dhaka. 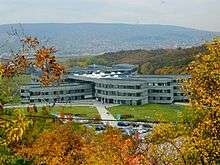 At the end of April 2013 Telenor acquired the second largest mobile operator in Bulgaria - Globul, along with the telecom retailer Germanos for 717 million euro. In the late 2015 (December), Telenor Bulgaria launched their 4G network - they were the first of the three large Bulgarian telecoms to do so. By April 2016, all residential areas with a population over 5000 were covered, and 75% of the Bulgarian population had access to 4G. In October, it was 76% - and the company has promised that they will expand their network and bring that number to 78% by the end of the year. Telenor Bulgaria also won the "Fastest mobile network in Bulgaria award" - awarded by Ookla. In February 2013, Telenor participated in the bidding for newly available Myanmar mobile licences. On 27 June 2013, it was announced that Telenor had been awarded one of two 15-year contracts for telecom development in Myanmar. Telenor is the only provider of the Wikipedia Zero program in Myanmar. In November 2014, Telenor and Yoma Bank announced their cooperation to provide mobile banking to Myanmar. The aim of their cooperation is to provide access to financial services to people who do not have bank accounts. As of 2016, it had more than 14 million subscribers. In Denmark Telenor owns the following companies: Telenor Denmark which is Denmark's second largest provider of mobile telephony with 1.8 million subscribers and which provides IP telephony and broadband and has 280.000 customers. Tele2 which provides telephony and internet. CBB Mobil which provides low cost prepaid mobile telephony. In spring 2009 Telenor also acquired the low cost operator Bibob. On 15 June 2009 Sonofon, Cybercity and Tele2 were unified under one international brand - Telenor. Furthermore, the digital distributor of TV-channels Canal Digital owned by Telenor is also present in Denmark. Telenor's operations in Finland are fixed datacom and Canal Digital. The company offers mobile telephony, has 3 million subscribers and a market share of 33%. 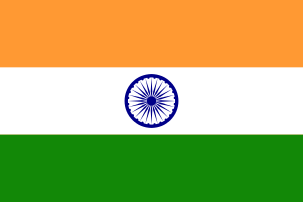 Telenor (India) Communications is a wholly owned company of Norway-based Telenor Group and offers mobile telephony services under the brand Telenor. The company launched it services in 2009 and till recently was known as Uninor in the market. Telenor’s pre-paid GSM mobile services are commercially available in the six circles of UP (West), UP (East), Bihar (including Jharkhand), Andhra Pradesh, Maharashtra and Gujarat. It will soon start commercial operations in Assam. Together, these circles account for more than 50% of India’s population giving Telenor the ability to serve every second person in India. Telenor holds a 49% stake in DiGi Telecommunications, Malaysia's third largest mobile telephony company. Telenor Montenegro is Telenor's subsidiary in Montenegro and offers mobile telephony. Telenor Pakistan is a wholly owned subsidiary that started operations on 15 March 2005 and holds one of six mobile licences in Pakistan. It's also the fastest-growing cellular network of Pakistan - this may be attributed to their aggressive marketing and advertising campaign. As of July 2013, Telenor Pakistan subscriber-base exceeds 31 million, making it the second largest telecom operator in the country. 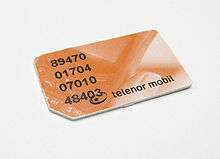 Telenor also holds the second largest GSM and the largest GPRS and EDGE coverage in Pakistan which competes with that of Ufone. The company has also started operations in the remote northern areas of Pakistan. 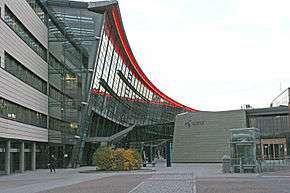 Telenor reached its breakeven in the first quarter of 2007. Telenor proactively participated in the earthquake disaster relief, and carried out a campaign for the welfare of flood victims in Balochistan. The current CEO of Telenor Pakistan is Michael Foley and the CTO is Khurrum Ashfaque. Telenor Pakistan, on 24 April 2014 acquired a 3G license and aims to cater for Pakistanis with the slogan of "Internet For All". Telenor owns 100% of Telenor Serbia, one of the three mobile vendors in Serbia and had a customer base of 3.456 million subscribers in the fourth quarter of 2011. It was the first mobile operator in the Serbian market when it was founded in 1994 as Mobtel Srbija. Telenor owns a number of different companies in Sweden. Telenor Sverige AB is the result of Telenor's purchase of Vodafone Sweden in 2005, offering mobile telephone services with a market share of approximately 15%. Telenor also owns Bredbandsbolaget, Sweden's second largest provider of broadband and the largest provider of IP telephony. Canal Digital offers TV distribution as well. In 2006 Telenor Sweden purchased Glocalnet, Sweden's fourth largest complete provider of telecom services. Telenor Sverige AB‘s headquarters is on Katarinavägen in Stockholm. In Sweden, Telenor also holds a joint venture company with Swedish operator Tele2 named Net4Mobility. This enables Telenor to provide its Swedish customers with 2G and 4G (LTE) services. Telenor holds an indirect position in DTAC, a mobile telephony company in Thailand. As of April 2016, DTAC has about 26 million users, making DTAC the second-largest mobile operator in the Thai market. DTAC launched dtac Super 4G using 1800Mhz spectrum and 20Mhz bandwidth, with speeds up to 150Mbit/s and coverage 882 Amphoe in Q3, 2016. In June 2007 Telenor announced that it would withdraw from the Norwegian Internet Exchange (NIX). It would allow other internet service providers to connect to Telenor's own exchange point, but wants to be able to charge content providers, like NRK or Schibsted, for prioritised access to their network. The Norwegian Post and Telecommunications Authority stated they would look at the legality of this move, but concluded that the withdrawal from NIX would not negatively affect the Norwegian Internet infrastructure. This raised demands that the network division be demerged from Telenor and made a separate company. Critics feel that this move compromises the network neutrality of Norway, especially since Telenor has a 57% market share domestically. Telenor chose not to fulfill their threats, and continue to connect to NIX through a ten gigabit ethernet connection. Since 2013, Telenor has hosted the annual Telenor Youth Forum in Oslo, during the same week as the Nobel Peace Prize is awarded. The international gathering of students to discuss issues is a public relations enhancement for Telenor. Jimmy Wales will be the keynote speaker at the 2015 Forum. After Muhammad Yunus was awarded the Nobel Peace Prize in 2006, he claimed during his visit in Norway to receive the prize that Grameen Bank had a gentlemen's agreement with Telenor where Telenor was to sell part of GrameenPhone to the bank. Telenor was not interested in fulfilling this agreement, arguing it was not juridically binding. Telenor's subsidiary Grameenphone was fined multiple times and later sued because they participated in illegal VOIP operations. VOIP operations went against the BTRC's (Bangladesh Telecommunication Regulatory Commission ) rules and as a result Grameenphone's offices were also raided in the process. BTRC claimed that the regulator and government was denied large revenue which Telenor/Grameenphone earned through these activities. Shortly after, Grameenphone's profits fell 32% when BTRC forced Grameenphone to cease VOIP operations. A Danish TV documentary has revealed miserable working conditions and environmental violations at companies in Bangladesh that act as suppliers to GrameenPhone. Employees were shown working with hazardous chemicals and heavy metals virtually without protection. Workers were as young as 13 years, a clear violation of child labour laws. The firms were caught allowing polluted waste water to spill into nearby rice fields. And in one case, a worker was killed when he fell into an unsecured pool of acid. Telenor opted to reveal some of the findings of the documentary even before it was aired. Nobel Peace Prize recipient and co-owner of Grameenphone, Muhammad Yunus, was considering taking legal action against Telenor, for the company's failure to stamp out the use of child labour by its subcontractors in Bangladesh. Telenor's CEO, Jon Fredrik Baksaas, promised to look into the matter. For a detailed description of Telenor's legal battle with Alfa Group over VimpelCom and Kyivstar, see: Alfa Group. Telenor stake in Russian mobile phone company Vimpelcom were seized in April 2009 after Telenor refused to pay a $1.7 billion in damage compensation to Russian owner Farimex Ltd. In October 2009, Telenor and Alfa Group reached an agreement that envisions an end to all ongoing legal disputes concerning VimpelCom and Kyivstar. In January 2016, media said that one of the first things done when the present chief had been appointed, was that Sigve Brekke reduced the percentage of females in the leadership from 30% to 14.3%. 1 2 3 4 5 6 "Annual Report 2014" (PDF). Telenor. Retrieved 17 March 2015. ↑ "Oslo Børs All Shares". Oslo Børs. Retrieved 28 May 2013. ↑ "Investor AB - pressmeddelande". Cision Wire. Retrieved 2005-05-23. ↑ "Telenor – press release". Cision Wire. Retrieved 2006-02-08. ↑ "Telenor – press release". Cision Wire. Retrieved 2006-03-28. ↑ "Pirate Bay legal action dropped in Norway". Computerworld UK. 2010-03-15. ↑ "ILS Proton successfully launches THOR 5 satellite". ILS. ↑ "All eyes on the Myanmar leapfrog". Retrieved 2013-04-05. ↑ "Burma awards lucrative mobile phone contracts". BBC News. Retrieved 27 June 2013. ↑ James Barton (25 November 2014). "Telenor readying mobile money with Yoma in Myanmar". Developing Telecoms. Retrieved 2 October 2015. 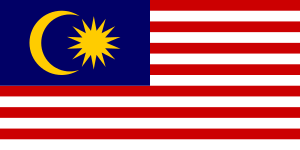 ↑ "Telenor Group _ DiGi, Malaydsia". telenor.com. Retrieved 20 April 2014. ↑ Atta, Amir. "Pakistan crosses 125 million mobile users" ProPakistani.pk. Retrieved July 20, 2013. ↑ Dagens Næringsliv. "Vil granske Telenor" (in Norwegian). Retrieved 28 June 2007. ↑ Norwegian Post and Telecommunications Authority. "Telenors samtrafikkavtaler for internettrafikk" (PDF) (in Norwegian). ↑ Nettavisen. "EU vil splitte telegiganter" (in Norwegian). Retrieved 26 July 2007. ↑ Dagbladet. "Din frie adgang til nettet er truet" (in Norwegian). Retrieved 26 July 2007. ↑ Dagens IT. "Sjekk naboenes bredbåndslinjer" (in Norwegian). Archived from the original on 28 September 2007. Retrieved 26 July 2007. ↑ The News International. "Telenor Youth Forum in Oslo". Retrieved 10 Nov 2015. ↑ Telenor - «Telenor and Altimo to Create a Leading Emerging Markets Mobile Operator», October 5, 2009. 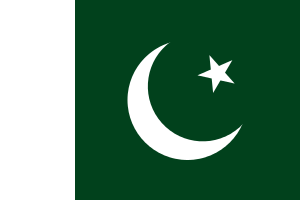 Wikimedia Commons has media related to Telenor.